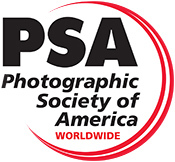 Dear friends, I was selected to represent PSA ( Photographic Society of America ) in Ukraine. From this moment I am “Ukraine Membership Director for PSA”! All Ukrainian Photographers, if you are interested to become members of PSA or if you have any questions about PSA, accepts, Stars and ROPAs, please, feel free to contact me.